I had a fun weekend with the fam! No writing, no editing, no blogging, no tweeting, etc. Took a much needed break! In our family, we CAN'T WAIT for the December release of Le Mis, the movie adaptation of the musical. 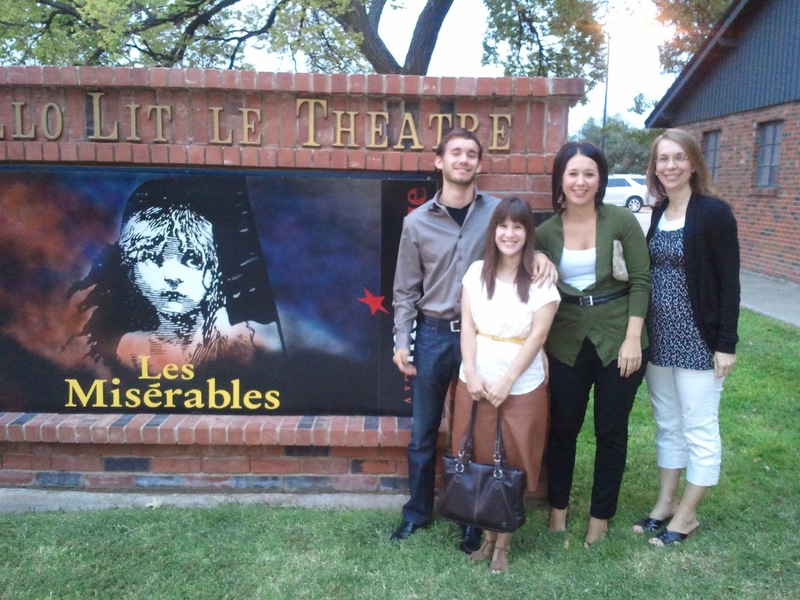 In preparation, we went and saw the local theater's production of Le Mis, just to get us even more fired up over the movie! It was AMAZING! They did a tremendous job! When writing, if you can capture the emotion contained in Le Mis, you have succeeded! It's a beautiful story and completely inspiring. If you haven't already, watch the movie trailer. Anne Hathaway does an amazing job! Enjoy! How I wish I could have been there with you guys! I wish you could have been there, too! We missed you so much! Wasn't the same without you!